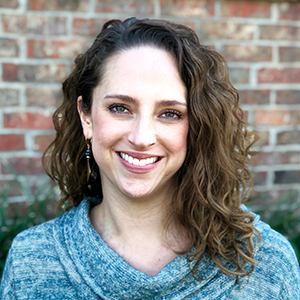 Kate Smallwood serves as Communications Manager for the Hogg Foundation for Mental Health. In this role, she leads the foundation’s communications team and strategy. A native Texan, she has worked in Austin’s nonprofit and higher education sectors for more than a dozen years in the areas of communications, community relations and fund development. Kate enjoys working at the intersection of good ideas and generous philanthropy and joined the foundation in 2017 to continue on this path. Previously, Kate served as the foundation’s Digital Media Strategist. Prior to joining the foundation, she held roles including Director of Donor Engagement for United Way for Greater Austin, Associate Director of Development and later Interim Director of Development for Mission Capital, Senior Program Coordinator of Advancement Services for The University of Texas at Austin’s McCombs School of Business, and Community Events Manager for Central Texas Food Bank. She has served on the advisory council for the Austin Empty Bowl Project, which raises funds to address childhood food insecurity, and as a board member for PURE Action, bringing the ancient benefits of yoga to mainstream medicine through research, education and community. Kate holds a Bachelor of Arts in American Studies from The University of Texas at Austin.